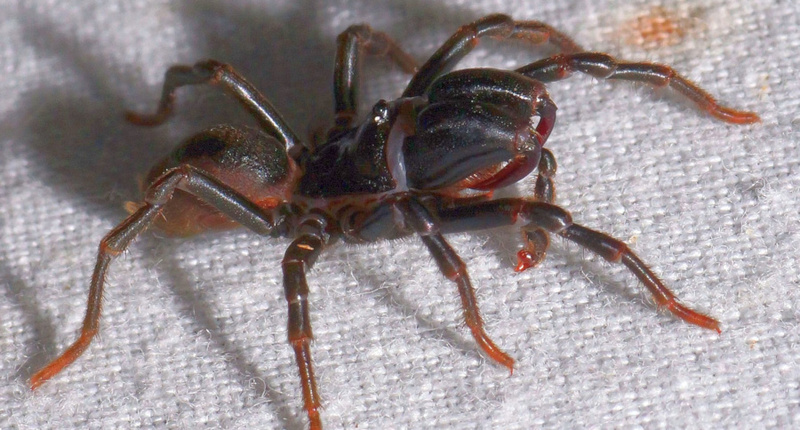 Atypus is a special spider with large jaws. 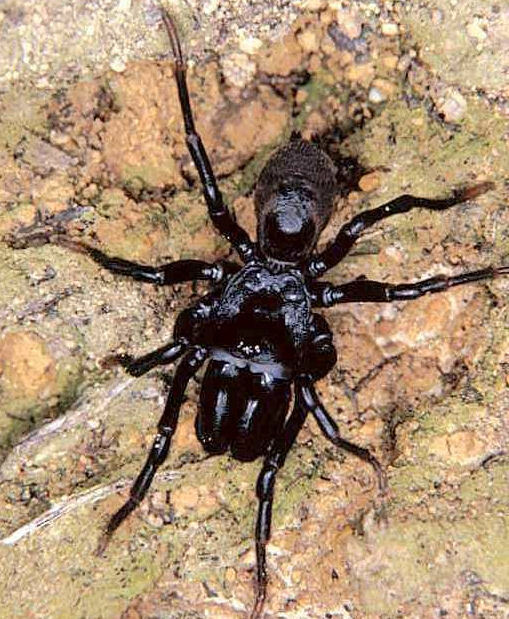 It belongs to the sub-order Orthognatha (Mygalomorphae) or primitive spiders. In Europe only two members of this sub-order can be found. 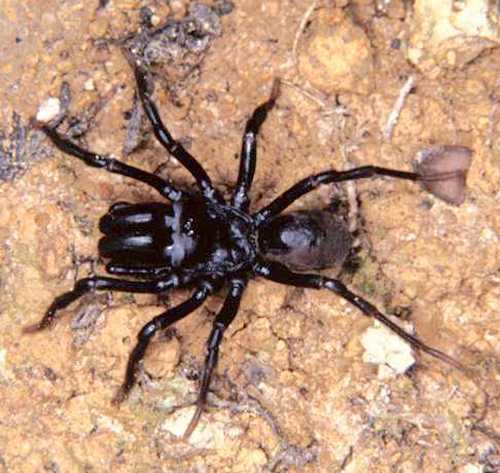 In Australia 13% (>240) of the spiders belong to the Mygalomorphae. The ancestral lineage of these spider goes back over 360 million years. 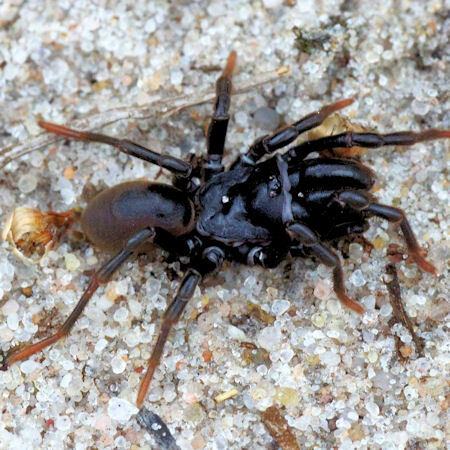 Most of these spiders live fearful lives buried deep in holes. They react on unexpected events by cowering in fear, unable to move, or by violently plunging their pickaxe fangs. 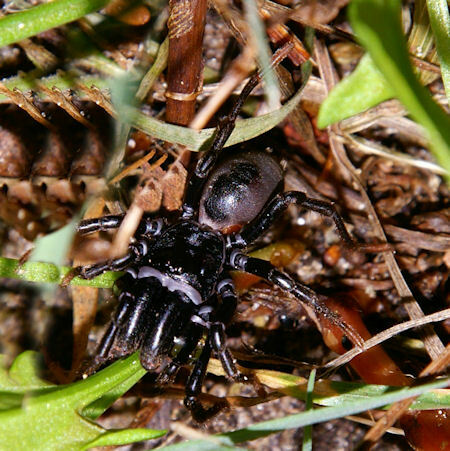 Some of the largest most aggressive spiders and poisonous spiders belong to this sub-order, like Tarantulas that can be found in pet shops, but also the very poisonous Sydney funnel web spider. The two members found in NW-Europe are Atypus affinis and Atypus piceus. They are very similar in appearance. Their size varies between 10 and 15 mm. 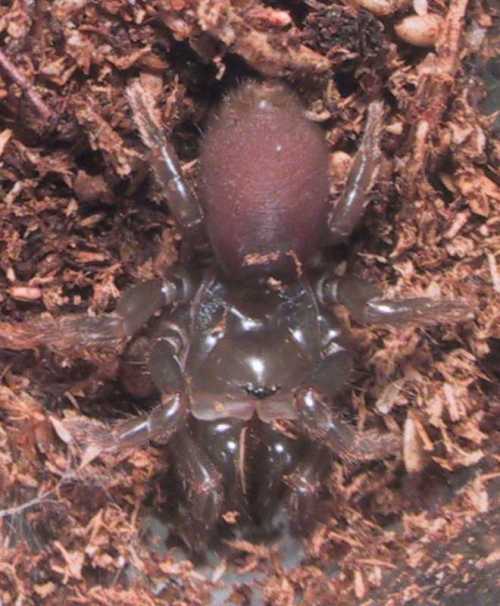 These spiders dig a hole in the ground ,up to 50 cm deep,and line it up with silk. Above the ground the tube extends for several centimeters. The tube is covered with sand and debris and therefor difficult to spot. 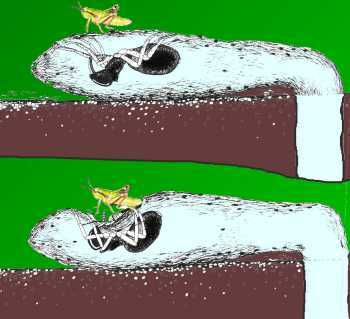 If an insect walks over the tube the spider catches it and pulls it though the silk. Because the spider is hiding so deep in the ground and hides the tube above the ground very well, it is difficult to find. Only in autumn when the males start searching for a female to breed, the spider can be spotted. They are living in colonies, so if one is spotted more may be found in the surroundings. 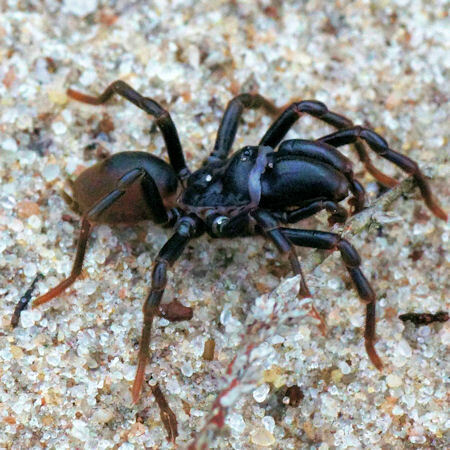 Mating takes place in the tube and the spiders stay together for several months. after mating the male soondies. Females may live for over eight years. 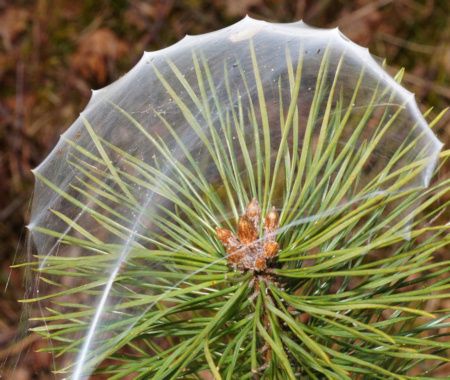 Spiderlings take a year to become full-grown and four years to reach maturity. 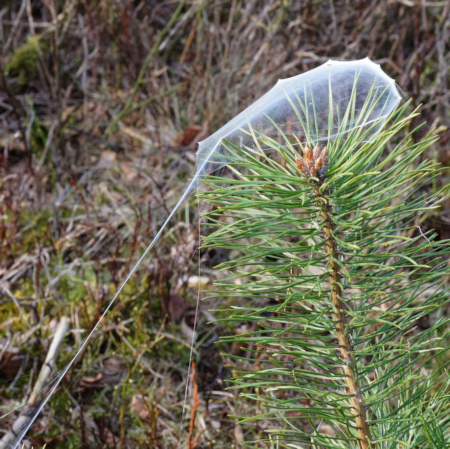 Spiderlings built a web in the top of branches from with they 'baloon' away'.